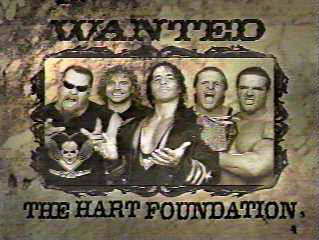 Hart Foundation Promo - The Harts were the biggest heroes short of Jesus Christ last week in Canada. 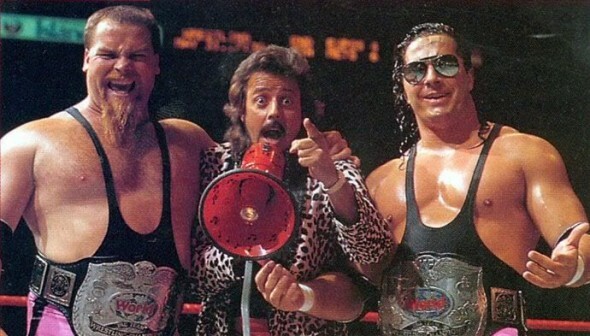 Well, only Satan himself could have been hated more than the Hart Foundation this week in Texas. couldn't move! Owen & the Ref had to stall for time until Austin could move enough to quickly end the match. STEVE AUSTIN HITS VINCE MCMAHON WITH THE STONE COLD STUNNER! Foundation were also against this angle, but there wasn't much they could do about it. to stop the match the instant that Shawn Michaels locked Bret Hart in the Sharpshooter. leave the WWF and wouldn't return for more than 12 YEARS!